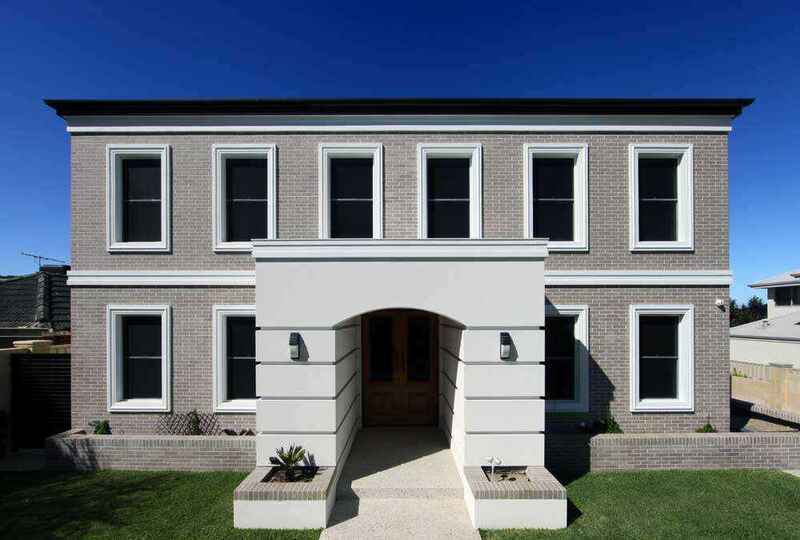 This very elegant English Manor styled home is highlighted by the contrasting Aerostone products. 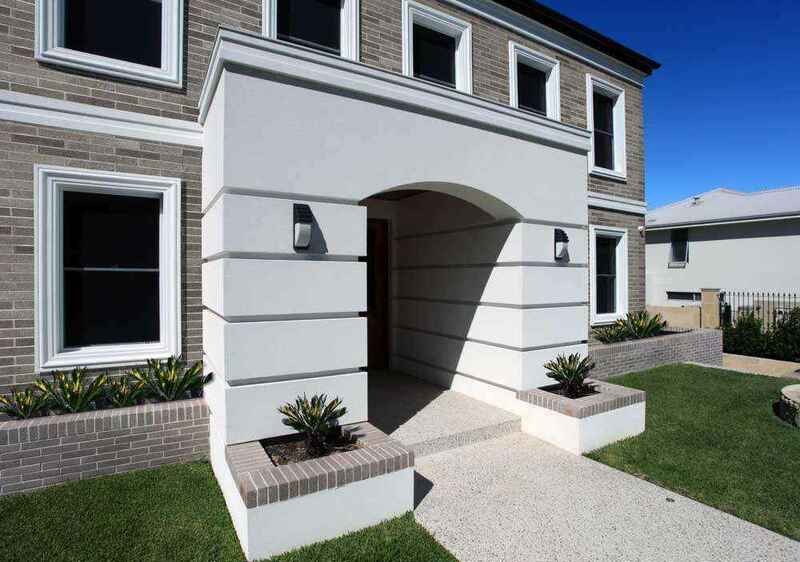 The uniform sized windows and pronounced entry make a great eye catching features. 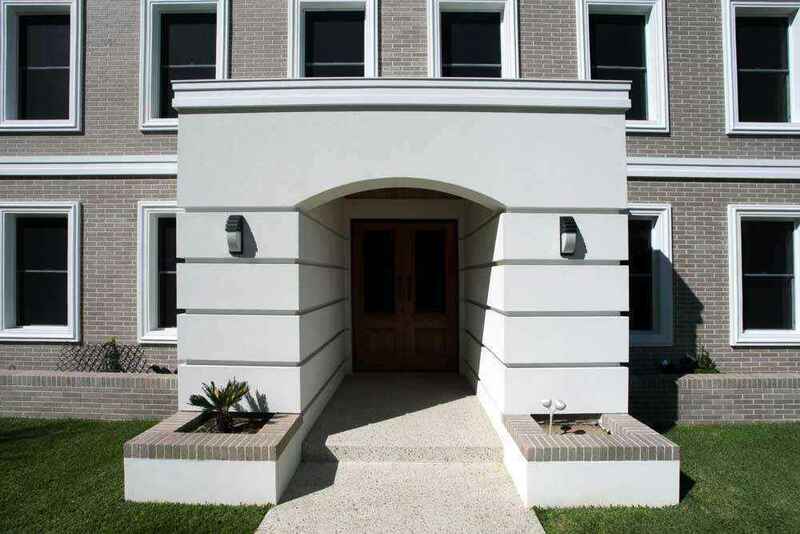 Aerostone was chosen by the home owner as the preferred product for this project. 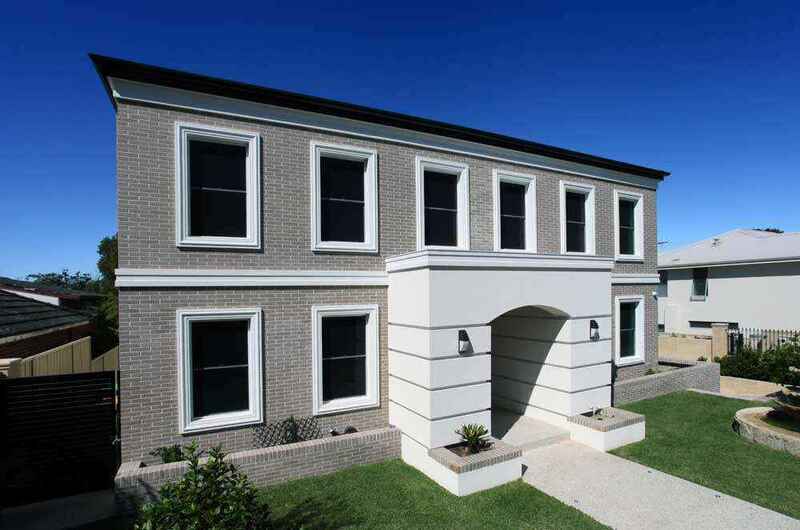 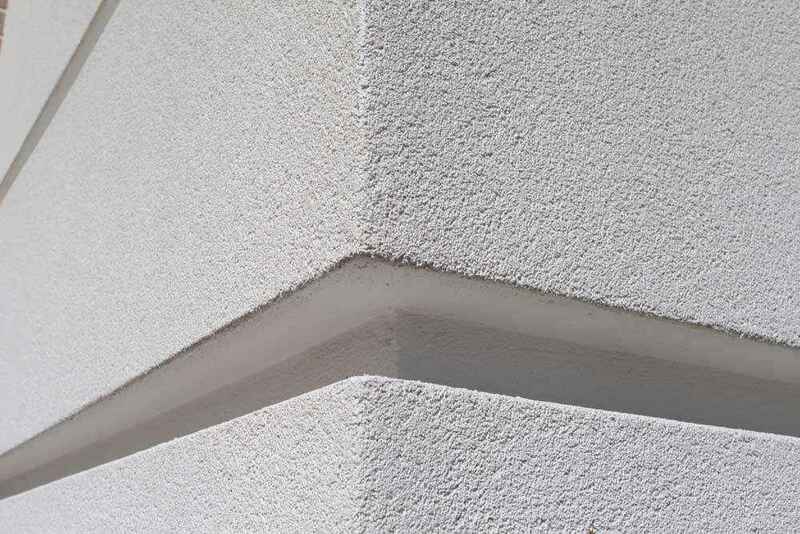 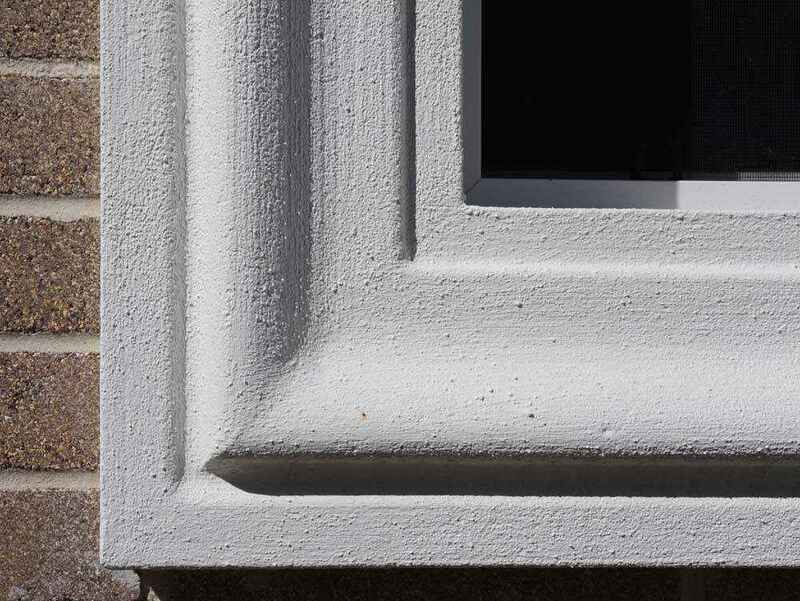 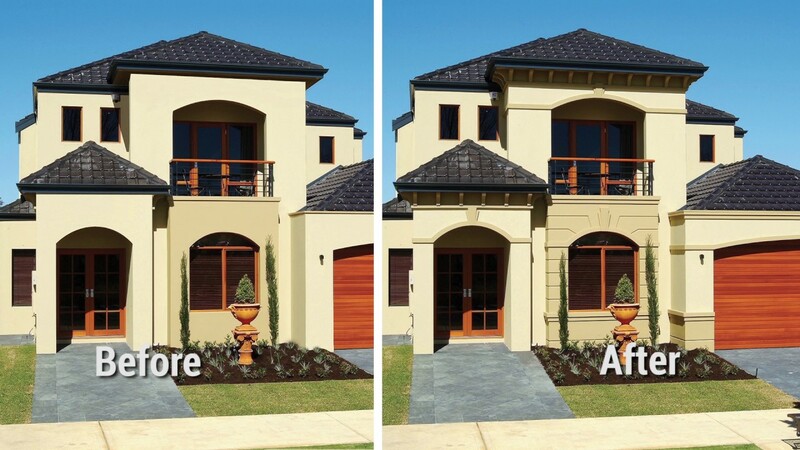 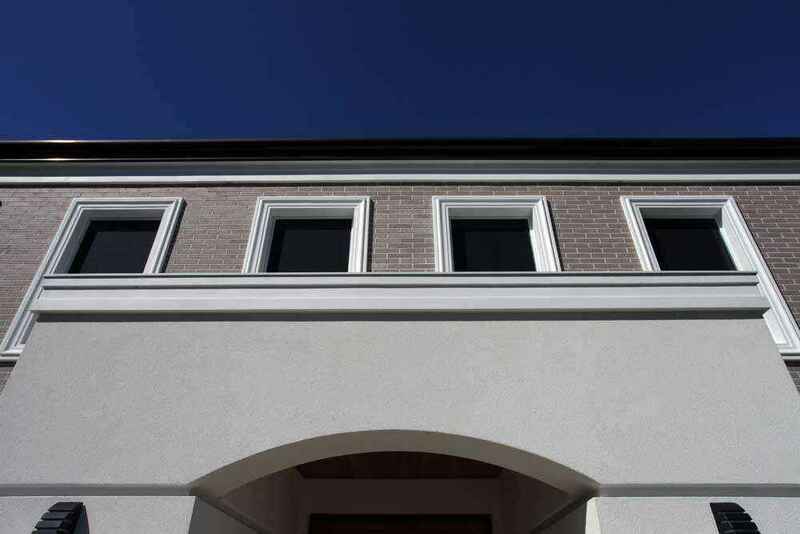 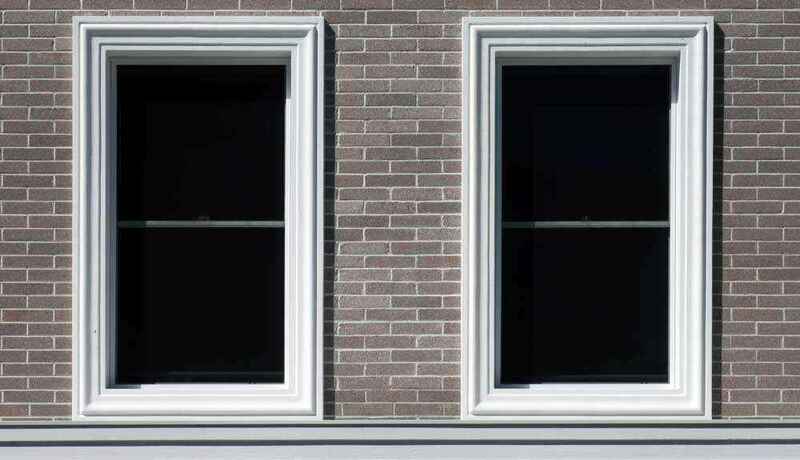 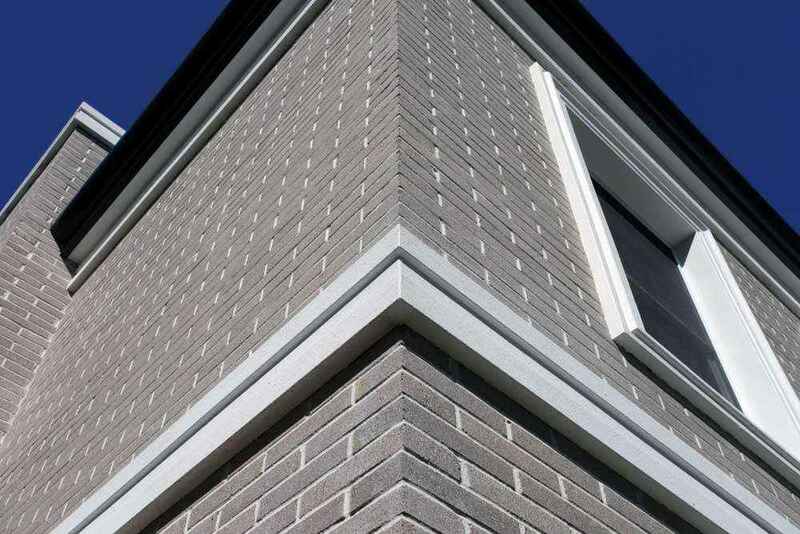 Fascia line and mid-level moulds, window surrounds and reveals, portico cladding, chimney moulds, parapet moulds.